Craig Press invites the community to December’s Coffee & a Newspaper for a discussion about the region’s broadband needs and how best to meet them. Representatives from the Broadband Committee and local internet providers will attend. The event, hosted by Craig Press Publisher Renee Campbell and Editor Jim Patterson, will be held at 7 a.m. Wednesday, Dec. 6, in Conference Room C at The Memorial Hospital. This represents a change from previous Coffee & a Newspaper events, which have typically been held in Conference Rooms A and B. Due to a technical issue, the Craig Press lost access to many of the emails sent to editor@CraigDailyPress.com during the past 30 days. This being the case, the newspaper asks all readers who submitted photos for the 2017 Hunter Photo Contest to the above address to please resend the photos directly to Craig Press Editor Jim Patterson at jpatterson@CraigDailyPress.com. Please include the names of all people appearing in the photo, where the photo was taken, and contact information. We apologize sincerely for this inconvenience. Due to the error, we will be extending the deadline to submit photos to the contest. Photos will be accepted through 5 p.m. Thursday, Dec. 7, and all submitted photos will be posted to the newspaper’s Facebook page Friday, Dec. 8. Whichever submission receives the most Facebook “likes” by 4 p.m. Friday, Dec. 15 will receive a $250 gift certificate to Murdoch’s. For more information, call Patterson at 970-875-1790 or Publisher Renee Campbell at 970-875-1788. The Moffat County Library will be closed Wednesday, Dec. 6. The library will re-open at 9:30 a.m. Thursday, Dec. 7. It was a busy Thanksgiving holiday on Colorado roads, as residents and tourists traveled to celebrations with friends and family. To increase safety for all drivers, the Colorado Department of Transportation, the Colorado State Patrol and statewide law enforcement agencies increased impaired driving enforcement as part of The Heat Is On campaign. Nov. 17 through 27, officers arrested 613 drivers, an increase from the 522 drivers arrested during the same period last year. During the Thanksgiving weekend enforcement period, 120 agencies increased patrols. Results from all participating agencies are available at bit.ly/hioarrests. Arrest data can be sorted by law enforcement agency, county and enforcement period. According to preliminary data, 193 people had died in impaired driving crashes on Colorado roadways as of Oct. 31. That figure is up from 170 impaired driving fatalities during the same period in 2016. To coincide with holiday parties and related celebrations marked by increased alcohol consumption, another heightened DUI enforcement period began Dec. 1 and will continue through Dec. 11 and includes 119 agencies. As a result of Rural Philanthropy Days, The Colorado Trust will give $25,000 in grants to Yampa Valley nonprofits. • Moffat County United Way: Funds will support Bridges Out of Poverty, an intensive training and education program for low-income residents. • Northwest Colorado Center for Independence (Grand, Moffat, Routt and Summit counties): The center provides free services and consultation to seniors and people with disabilities who wish to live independently, minimizing institutional care and reliance on outside services. Funds will be used to assess offices of physicians and other health care providers, and offer guidance on how to be more inclusive of the disabled community. 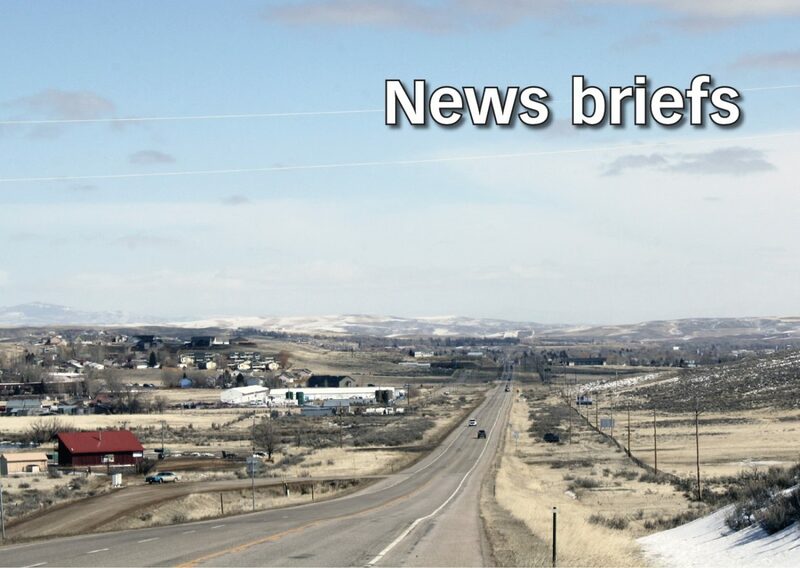 • Choose When (Moffat and Routt counties): The first project of a community group called Focus on Women, the program provides long-acting reversible contraception to low-income women in northwest Colorado. Funds will be used to expand the program to Moffat County. • Advocates Building Peaceful Communities (Routt County): Advocates provides crisis services, residential shelter, advocacy and community awareness for victims of domestic abuse and sexual violence. Funds will help cover operating expenses. • Yampa Valley Medical Center Foundation (Routt County): Funds will help provide three iPads to act as mobile interpreters with access to 35 languages (including American Sign Language), as well as devices for patients with poor eyesight or who are hard of hearing. The Colorado Trust is a foundation dedicated to creating fair and equal opportunities for Coloradans to lead healthy lives. Rural Philanthropy Days connects funders with nonprofit organizations and government agencies that serve rural Colorado. The Community Resource Center and the Anschutz Family Foundation created the biannual event in 1991 to strengthen nonprofit-funder relations and address critical needs in rural Colorado communities. Since 2009, the trust has provided $486,500 in grants to rural Colorado nonprofit organizations via Rural Philanthropy Days, and to CRC to support the statewide RPD program.